Walter McFarland believes that the emerging field of neuroscience may be a source of new insight into the theory and practice of organizational change. As neuroscience research increases our knowledge of the brain, information relevant to organizational change is being uncovered. In this conversation, Walter shares insights on specific attributes of the brain that inform behavior during organizational change, how current change approaches actually trigger resistance in the brain and, and key neuroscience-informed actions can improve performance of change. Walter McFarland is President of Windmill Human Performance and the current Board Chair elect for the American Society for Training and Development (ASTD). He held previous positions as a Senior Vice President at Booz Allen Hamilton and a Senior Principal at Hay Management Consultants where his business focus was human capital, learning, and change. The center piece of his career has been focused on leading large-scale transformation and change efforts for the US government. Tell us about your background and how you got interested in the neuroscience of change? Based on your research and experience, what do you see as some of the limitations in our current approach to Change Management and can you share with us some examples of change management practices that actually trigger resistance in the brain? You say that the emerging field of neuroscience may be a source of new insight into the theory and practice of organizational change. 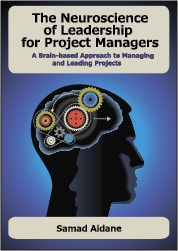 How is Neuroscience informing our understanding of change and why should project managers and change leaders in general be interested in the Neuroscience of Change? 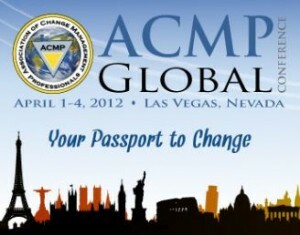 You will be presenting this topic at The 2012 Association of Change Management Professionals Global Conference April 1-4, 2012. What are some of the key questions you will address in your presentation? Mr. McFarland has had leadership roles in consulting engagements focused on: transforming the Internal Revenue Service; creating the Department of Homeland Security; and better integrating the US Intelligence Community—to name a few. He has earned: the Hammer Award, the IRS Commissioner’s Award, and recognition from ASTD and the Smithsonian Institution, among others. Mr. McFarland is currently a graduate instructor at the NeuroLeadership Institute, Middlesex, England, and is a Board member of the Cahn Fellows Program at Teacher’s College, Columbia University. Mr. McFarland holds: a BA in Psychology and MPA in Public Administration from Southern Illinois University; an MA in Government from Georgetown University; an Ed.S in Human and Organizational Learning from the George Washington University; and an MSc in Organizational Change from HEC Management School, Paris, with Oxford University, England.